Across at PaperMill Direct, they have lovely Pale Grey Linen card stock on offer. Its a hefty 300gsm. For £4.40 you get 60 - 65 sheets. Why not do what I done and order 2 lots. Grey is one of those in-between colours where you don't want something to bright, but you don't want something to dark so Grey is that perfect colour to meet in the middle. That is why I tend to use it often. Certain colours, such as Grey can tend to be used for matting and layering all the time. Use it for more than this, use it for the focus or part of the focus on your card. With my card below, you can see that the middle square has been reduced so the outer Pale Grey Linen is seen. This works well and should be done more often. Its a good way to make 8x8 cards if you struggle with then but like to make them. Make a 6x6 card and then chose a coordinated colour that goes well with your design (like i have done with the Pale Grey Linen) and matt and layer it onto an 8x8 card. With this Grey Linen card being 300gsm in weight, it means you can use it as a full card base in itself. If you are making an A5 card, then simply score this card in half and there you will have your full card base in one matching colouring. If you are making a special card for a special someone then it can be extra lovely to have the whole card, front & back coordinate together. The linen look and feel gives it that extra touch of luxury and if you charge for your cards, you can add an extra few pennies onto the cost because of the top quality card stock your using by Papermill direct. Now,die cutting! Sometimes, when die cutting 300gsm card, it can be tricky. Maybe tricky isn't the right word but you need a good few passes through your die cutting machine for the die cut to cut perfectly. You have no trouble with this Pale Grey Linen card. 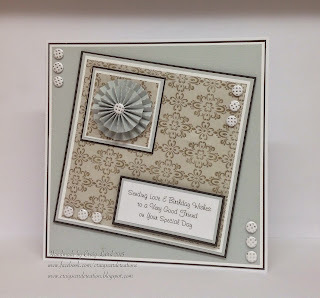 I die cut 2 rosette dies and they both die cut first attempt with no problem. The rosette looks lovely, but with the linen effect, it makes the rosette that bit more luxurious. Grey linen card - 300gsm -PMD558. 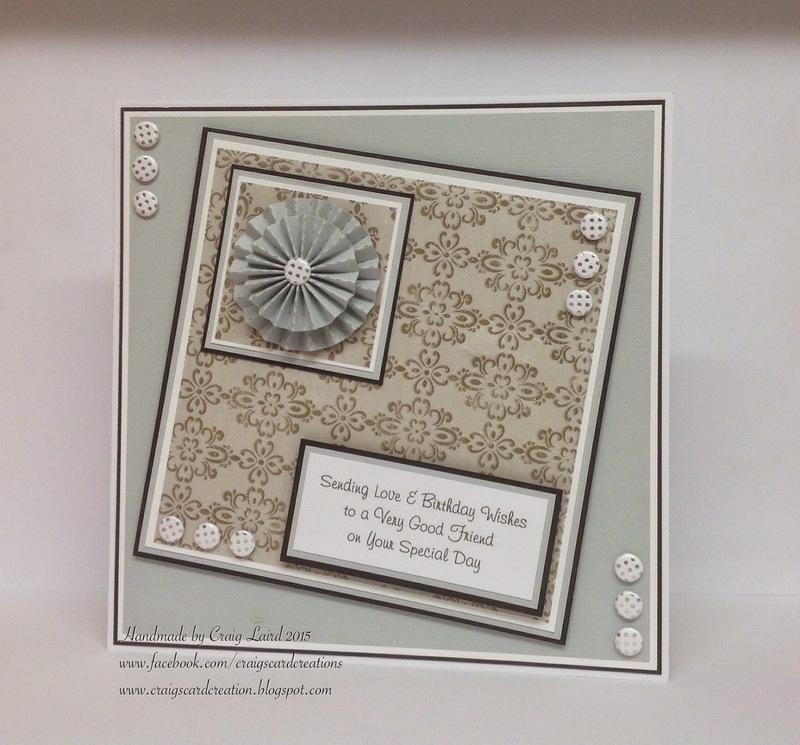 Silver and White Card Candi - Craftwork Card. Desert Bloom 8x8 paper pad - First Edition.